What a good year 2014 turned out to be for 3Harbors-- a bighearted thanks to all our clients and friends for making it all possible. 3Harbors ends 2014 as the # 1 selling office in Truro, a ranking we maintained from the previous year. Co-founder Nick Norman was the #1 listing agent in Truro, while Gregg Russo, who is based in our Provincetown office, is the #5 listing agent in both Truro and Provincetown. And speaking of Provincetown, our new office there has been open barely a year and is already the #6 office for sales in Provincetown. Looking ahead to 2015, we anticipate another great year as we are starting the New Year with more listings than ever! 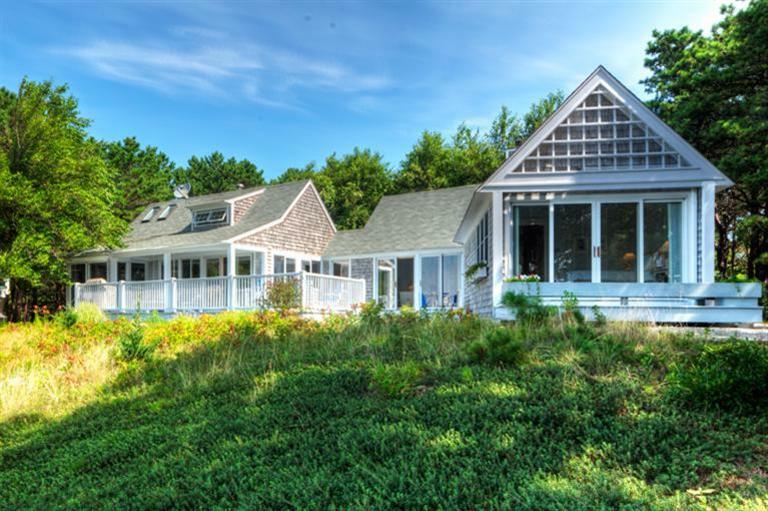 We hope you'll decide to work with us if you are thinking of real estate on the Outer Cape as, in addition to all the good success this year, 3Harbors brings to the table unmatched experience, vast local knowledge and deep community roots. As year-end approaches, 3Harbors bids the fondest farewell to our other co-founder, Anne Daignault. Anne has decided to retire after several long and successful careers which have ranged from teaching to personnel to corporate placement to, of course, real estate. We will miss Anne's warmth, intelligence and humor around the office but know that her friendship and know-how are never more than a phone call away. Please join us in wishing Anne a wonderful next chapter! Speaking of next chapters, John Guerra, who joined 3Harbors last year, becomes a full-fledged member of our team in the New Year. As a former diplomat and small business owner, John brings great people and entrepreneurial skills with him to his own latest career in real estate. Rounding out our 3 Harbors' talent, Jim Chudomel remains expertly at the helm of our presence in Wellfleet, while Rebecca Townsend and Alan Wagg bring unparalleld dedication and knowledge to the rental side of the business. Thanks for your interest in 3Harbors. We look forward very much to working hard in bringing your real estate dreams to fruition here on the Outer Cape in 2015 and beyond. A very merry holiday season and a wonderful New Year to you from all of us at 3Harbors! The Halloween hoopla has died down and we are entering the real quiet time on the Outer Cape. The air is brisk, there are leaves everywhere and autumn's golden light is starting to take on the pale lemon hue of early winter. In the woods, the leafless trees give a whole new meaning to "fifty shades of gray." Nonetheless, there is life stirring all around. There was a great article in Boston Globe on Sunday November 16 on the Outer Cape in Winter. 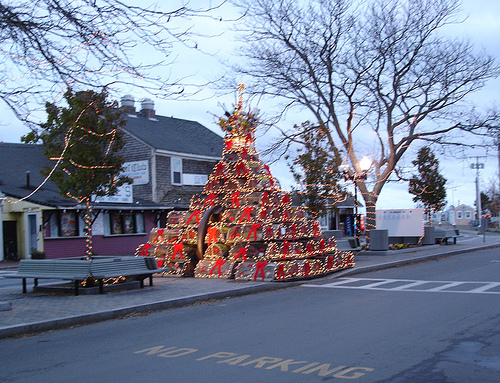 It is chock full of ideas on what to do and doesn't EVEN mention pre holiday and close out sales during Holly Folly in Provincetown, on going lectures and events at Preservation Hall in Wellfleet, including a winter farmers market, and a whole series of events for adults and kids at the Truro Public Library. Though, Ptown is great anytime of year, the annual lighting of the Pilgrim Monument (this year on November 26 from 5-7) gets the holiday season off to a very festive start. In fact, lots of holiday visitors make it a point of coming to the Outer Cape for special holiday times AFTER pursuing more traditional holiday events wherever they live. 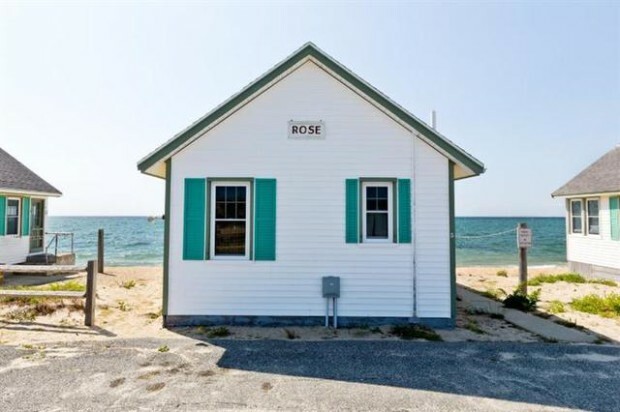 Of course, this is a real estate blog, so we'd be remiss if we didn't mention thatn ne of 3Harbors' new listings in Truro will be featured on Sunday November 22 in the Cape Cod Times real estate section. 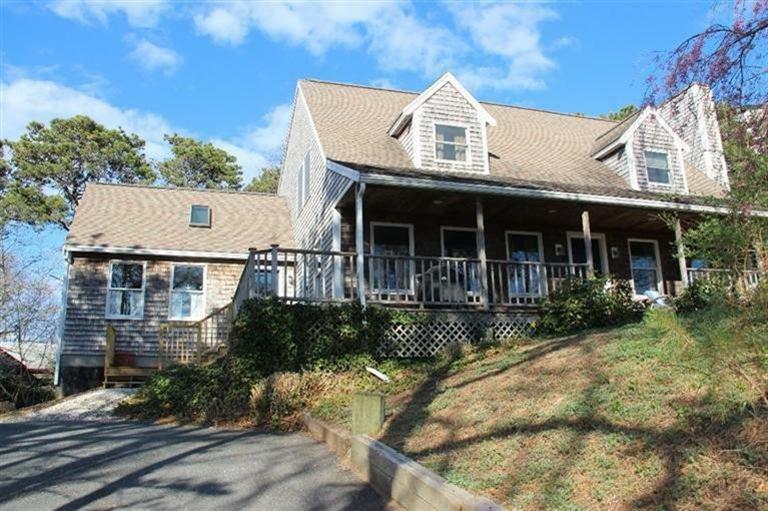 This home, which is in North Truro and comes with deeded beach rights, has a late- Mad Man era vibe with great entertaining spaces and two different levels which offer separate living areas for extended families or a group of good friends. It is located at 28 Bayberry and we'd love to show it to you. Halloween is pretty much the last big weekend before the winter here on the Outer Cape. It's always a fun time, with a variety of activities, from kids going house-to-house in Truro and Wellfleet to parties and shows in Provincetown. This time of year also brings the closing of seasonal condos in Truro. 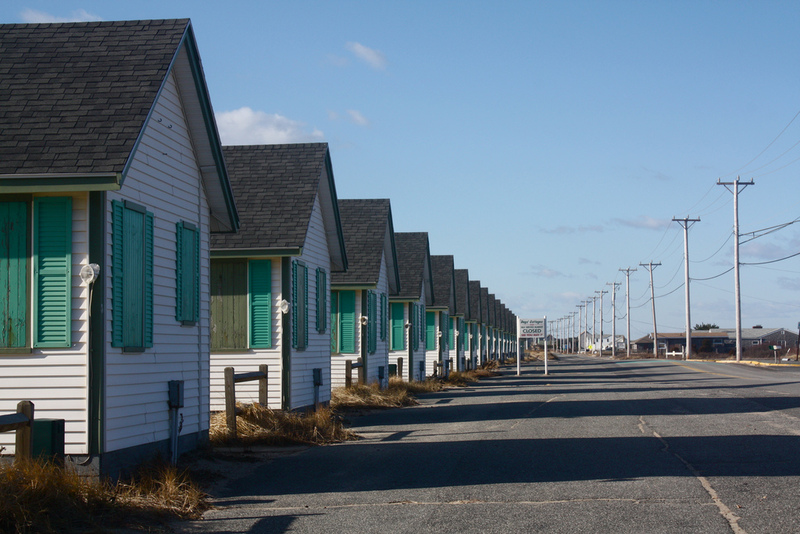 There is tremendous buzz right now about the iconic Days Cottages, which recently were listed for sale as condos by none other than 3Harbors Realty. Eight of twenty cottages have already been spoken for as of this writing. We are having a pop-up Open House Saturday November 1 from 1-3 pm. Please stop by to see these most-photographed of Truro cottages before they are all closed up at the end of next week! 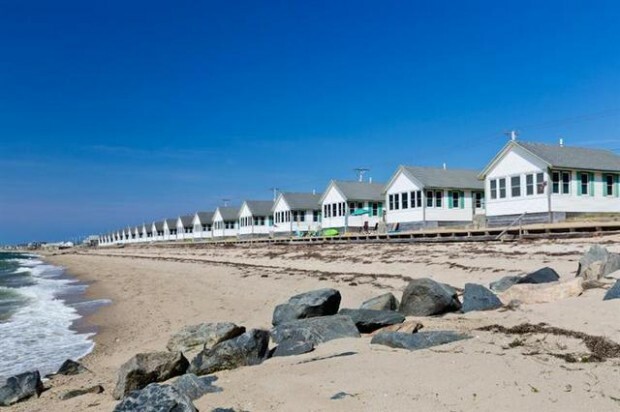 Days cottages are the beachfront rentals located on the way to Provincetown in Truro, MA have been here for almost 100 years and each is named after individual flowers. Painters have been inspired by the cottages and you can see paintings, photographs and even sculptures of the cottages everywhere on Cape Cod. 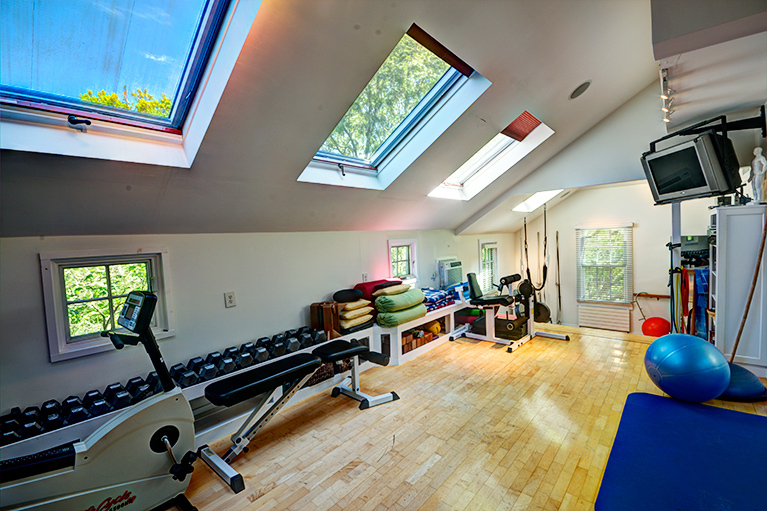 Call us right away at:508-349-2600 or 508-487-0429 or contact us here if you're interested as we already have two spoken for. 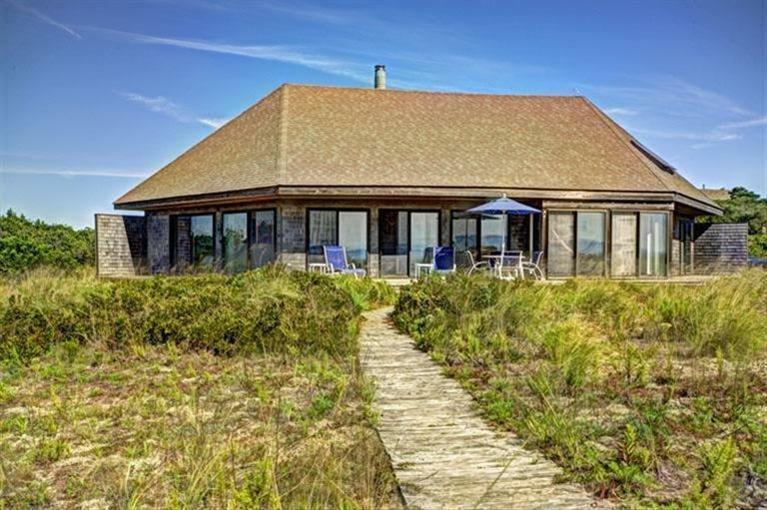 The house 3Harbors has for sale at 1 Nelson Drive in Truro, MA is a revelation. 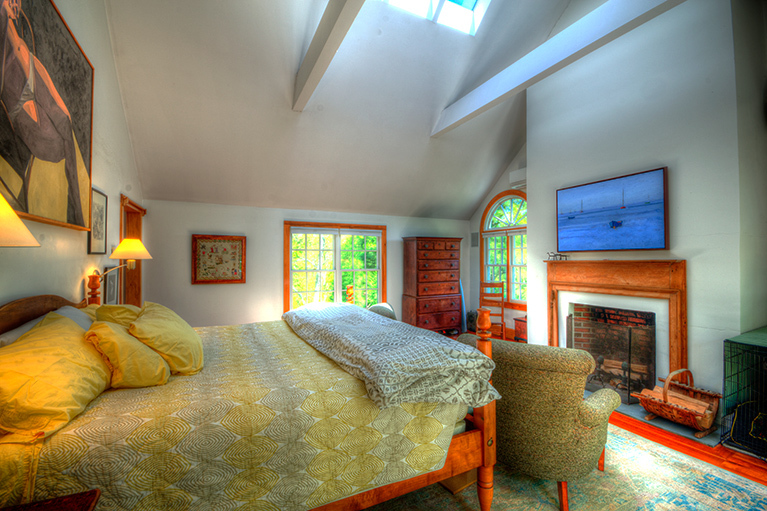 Tucked away, next to the National Seashore Park, the home exudes comfort and hominess while presenting all who visit a subtle luxury. The owners used the services of Oliver Interiors which recently was awarded a Presidential Citation from the New England chapter of the American Society of Interior Designers, adding to the firm's long list of awards. Have a look at these photos and you'll see why everyone falls in love with this amazing property. If you are interested in learning more about this property or would like to schedule a showing, please contact us! Welcome to 3Harbors Realty's new blog snippets--snapshots of interesting happenings in and around our three harbors offices. One of the Outer Cape's most popular events is the Wellfleet Oyster Fest, two days of food, music and fun, October 17-18. Downtown Wellfleet is transformed into one huge street party, with music, fun and food. The oyster shucking contest is almost as world famous as the oysters themselves. While at Oyster Fest, stroll over to 70 Commercial Street where 3Harbors has a lovely year-round condo for sale--look for the brochure box in front of the property. A recent article in the New York Times Home and Garden section spotlighted the gents who purchased the former Martin House Restaurant building and restored it as a private home. The article does a great job of showing how the old and the new have blended so vibrantly in Ptown. 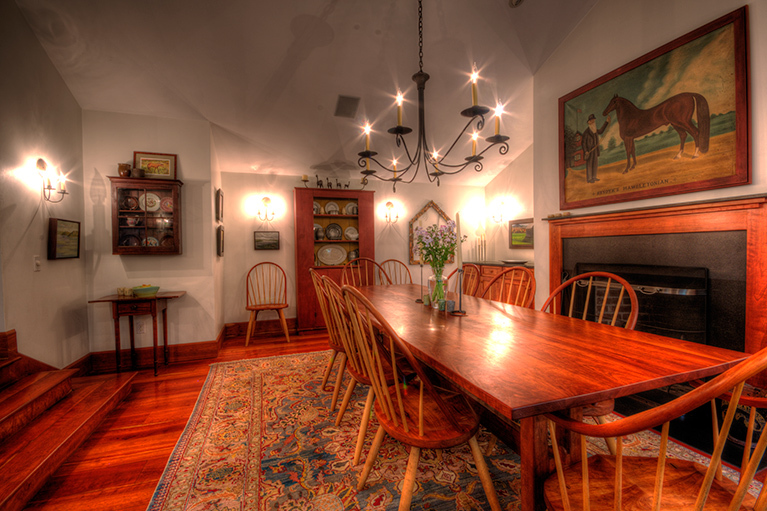 Apparently, the old Martin House is haunted, perhaps by ghosts of dinners past...Not too far from the the former Martin House, you can stop by 136 Commercial (our Ptown office) to see about finding your own special place in Ptown. It's mushroom season in Truro, the smallest and most agricultural of the towns on the Cape. This time of year it isn't unusual to see folks walking the local byways, especially in the Cape Cod National Seashore, bags in hand, looking for edible species of mushrooms which sprout on the Outer Cape during October. Yet one more unusual activity which makes our area so interesting--even when it isn't summertime. Abutting the Seashore in Truro is a gorgeous home currently on the market featuring interiors by Christina Oliver, ASID. 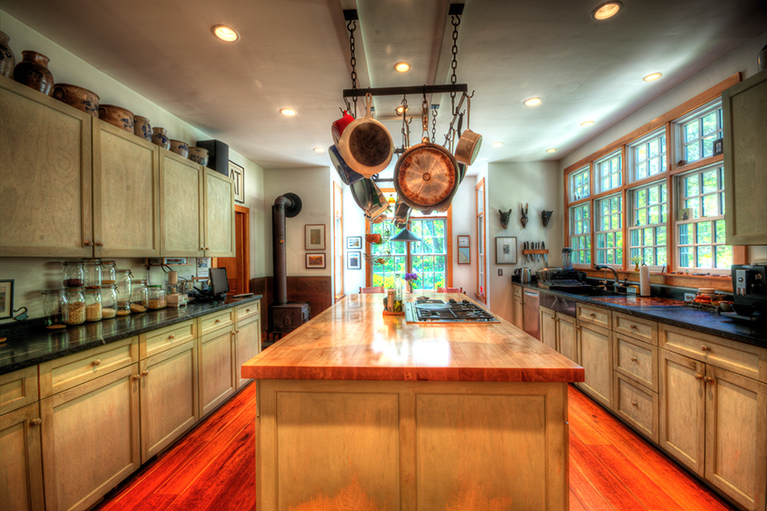 This large residence has an amazing gourmet kitchen--perfect for making a risotto with the mushrooms just picked nearby. There're a couple of new businesses in North Truro on Highland Road: Salty Market now occupies the former Dutra's Market. The space and has been renewed and they offer a variety of excellent sandwiches, wines and small-batch production items, along with a good selection of groceries. A few doors down, past the ever-popular Village Café, you'll find Chequessett Chocolate. 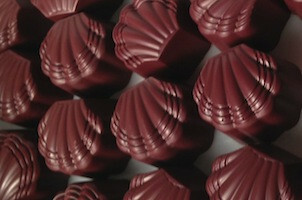 They feature beans-to-bars chocolate, sourced organically, roasted on-site and blended into delicious chocolate items. At Truro Vineyards, you can visit their brand-new distillery (only the second to open in the Commonwealth since Prohibition) where they are producing a delicious spiced rum called Twenty Boat Rum, dedicated to rum-runners on the Cape during Prohibition. The spice blend for the rum, incidentally, was made at Atlantic Spice Company, just down the road from the Vineyards, and always a great place to shop for spices, kitchen items and cookbooks. If you haven't been in a while, have dinner at Montano's Restaurant on Route 6. They feature home-made pasta in a variety of delicious preparations and a very nice selection of wines by the glass. You can also get Truro-raised chickens at Hillside Farms, along with their great selection of produce, for a great stay-at-home meal. How do you start my website about imagination sports activities? I've been a full-time Truro resident since 2000 and am a veteran of the restaurant business in Provincetown. I thought you might enjoy some great food-related suggestions for what to do when you're not at the beach. Truro Vineyards has a lovely tasting room for wines made on site from their own grapes, as well as fruit grown on Long Island and California. The rosé is especially good on a warm summer evening. You can also get some delicious nibbles from the Blackfish food truck at the Vineyard and have a picnic with your just-purchased bottle of wine! Truro has a wonderful new Farmer's Market every Wednesday morning in Veteran's Park just across Truro Center Road from the 3Harbor's office. Look no further than Savory and the Sweet Season for a huge selection of ice cream and delicious pizzas. I love to bike to Wellfleet along Old County Road. Take a pack with you so you can bring back great produce or seafood from Hatch's in the town parking lot. Stop at the bustling Wellfleet Market for other provisions. Mac's Shack is deservedly popular (superb oysters and sushi), as are Winslow's Tavern (sit on the terrace or upstairs at the atmospheric bar room and take in some great food and live music on weekends) and The Wicked Oyster (which does a great breakfast too). Back on Route 6, you can fuel up at Sunbird, near central Wellfleet. They do delicious sandwiches and salads, all made with locally-sourced organic ingredients. Jamie Sparrow, Sunbird's delightful owner, honed her craft in some of San Francisco's best restaurants. If you're heading south (toward the rest of the Cape), stop at the ever-busy PB Boulangerie for anything from a coffee and superb pastry to a full meal, served with French flair. In Eastham itself and convenient to the bike path, is Karoo Restaurant, which features very tasty South African food and wines. A final spot that is always fun is The Beachcomber on Ocean Drive in Wellfleet. It was named one of the Best Beach Bars in the U.S. by a national publication. It's truly special, with great music, beer and oysters but only open between Memorial Day and Labor Day. Have a wonderful and tasty time! My wife and I try to walk every day. Since we live close to the Bike Trail, we tend to make good use of the stretch between Wellfleet and Orleans. It is a good place to get regular exercise. In the summer lots of folks use the BT for different things. Walkers are welcome despite the fact, as I was once told by a speeding biker in spandex shorts, "...the Bike Trail is for Bikers!!" Most bikers are generally polite and will let you know when they are coming up behind you, with a "passing on the left" courtesy call. Be prepared for the out-of-the-ordinary biker who wants to speed past you without regard for your (or their) safety. It happens occasionally, especially in the summer when bikers, unfamiliar to the protocol and courtesy, will shout obscenities and give the one finger salute. For those reasons, we have sought out different walking trails from the standard BT trip. 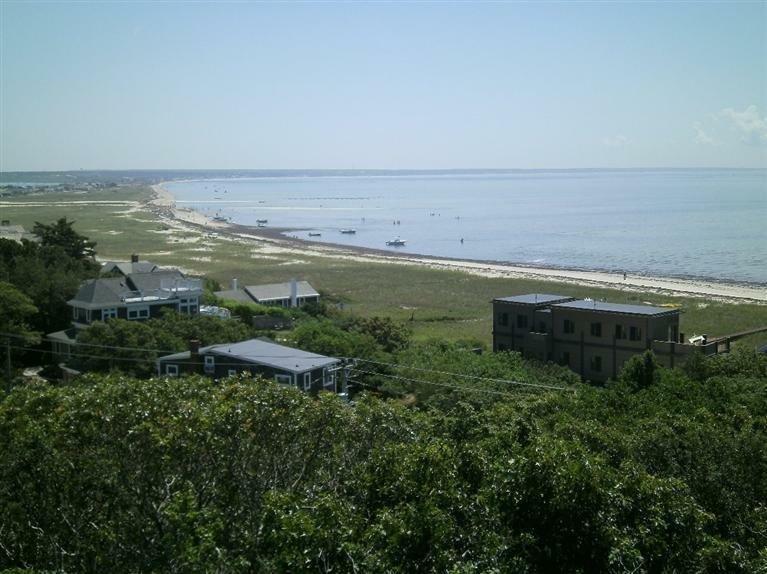 There are several paths that run perpendicular from the Bike Trail through the Cape Cod National Seashore, with some ending out on a dune some 80 feet up, looking out over the ocean. While walking on fire trails in the CCNSS, I have seen coyote, fox (both red and gray), deer, snapping turtles (rather large in size), red hawks, snakes (many varieties), all types of amphibians, especially those wonderful spring "peepers". The dunes are such fragile places to walk, I hope you will avoid the strong urge to go down the sand dunes to get to the beach. I can assure you that going down an 80 foot sand dune has its own special risks to your physical wellbeing, not to mention never being able to get back up. Last week I found a great website for hiking trails out at this end of Cape Cod. All I had to do was GOOGLE "walking trails on Cape Cod". The website www.cctrails.org came up as a selection. It proved to be a powerful site for identifying new trails that anyone might like to explore. Since we live in Wellfleet, we chose the trail "Bound Brook Island". The trail guide came with a very good turn-by-turn narrative to the entire 5 mile walk. It had a beach walk, a walk through the woods, amazing bay views, and walks along a simple, old country road. The site also has a GPS map you can print out and photos of where trails begin, end, and diverge. I never would have attempted this exploration without the help of the site and the directions. The site has many other trails to explore with the support of clear, easy to follow directions. My advice is to print out the directions and the photos to help you along the way. Don't forget to bring a back pack with snacks, water, and your cell phone. Nick Norman is a big walker and there are many trails throughout the Cape for some terrific hikes. "A perennial favorite of mine is the Cranberry Bog Trail found at the end of North Pamet Road. The vistas of the ocean and out along the Pamet River valley are tremendous," (you can park on the road if you have a Truro Beach sticker or around the corner in a National Seashore lot). Another favorite walk is the Provincetown Breakwater ("plan on wearing shoes with good support: the walk is longer than you might think"). Wellfleet has a terrific walk out at Great Island too: "It's a fascinating hike through forests, dunes, marsh and sea." "I love to cook so I don't eat out a great deal, however I really like Saki in Ptown for truly great sushi, Victor's for good food and a fun atmosphere and, of course, Blackfish up the road from our office here in Truro for imaginative seafood, (and they have central air at last!). There are some wonderful bike routes in Truro--not surprising given that so much of the town in the Cape Cod National Seashore. I mentioned above about riding Old County Road into Wellfleet, but Old County also runs through Truro. Starting at our office in Truro Center, for example, head left past the Post Office and up the hill on Depot Road. Take a left when Depot and Old County intersect for one of the prettiest, lesser-travelled rides in town. You can take Prince Valley or Pamet Point roads to get back to Route 6 or turn right onto Ryder Beach Road. There is ample parking there--and you don't need a beach sticker for a bicycle! If you continue down Depot Road, you can take a left on Mill Pond for a very scenic little spin by the Pamet River, before rejoining Old County. The Pamet Harbor parking lot is at the end of Depot Road. The beach here is nice and at low tides, the tidal flats are full of interesting marine creatures. You can also start left from our office and take a second left through the Route 6 underpass. This will lead you to either North or South Pamet Roads, with Ballston Beach at the end. Access is much easier from South Pamet, though there are nice walking trails near the end of North Pamet Road. Collins Road, a right off South Pamet where it curves on the way to the beach, is a nice shady ride which rejoins Route 6 about 3 miles later. If you turn right from our office, you can go up the hill on Castle Road. Follow Castle Road, making a left after Tom's Hill onto Corn Hill Road to get to Corn Hill Beach. None of these rides is more than 10 miles, but you can combine them for a longer jaunt. These are all great alternatives to riding on Route 6 itself--an especially good idea given the summer traffic. 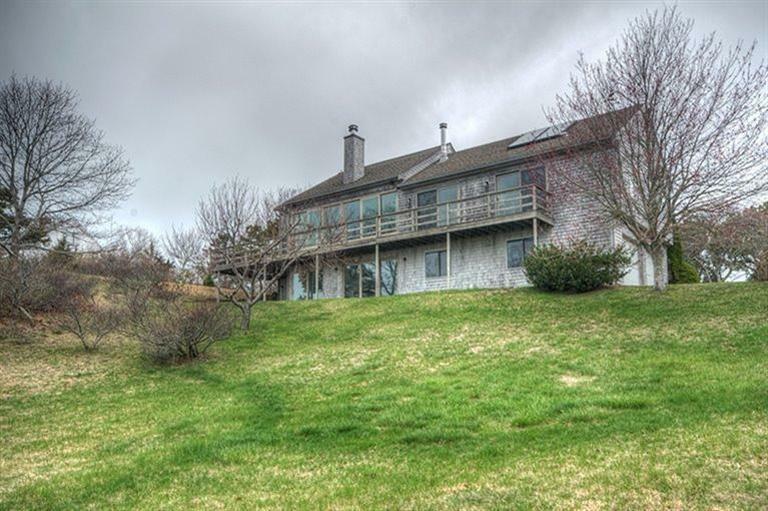 We sold this house at 20 Holsbery Road in Truro for $950,000. We represented the buyer and the seller represented herself. The buyer's family were previous owners of the house so this was truly a "coming home" story that we were very happy yo be a part of. 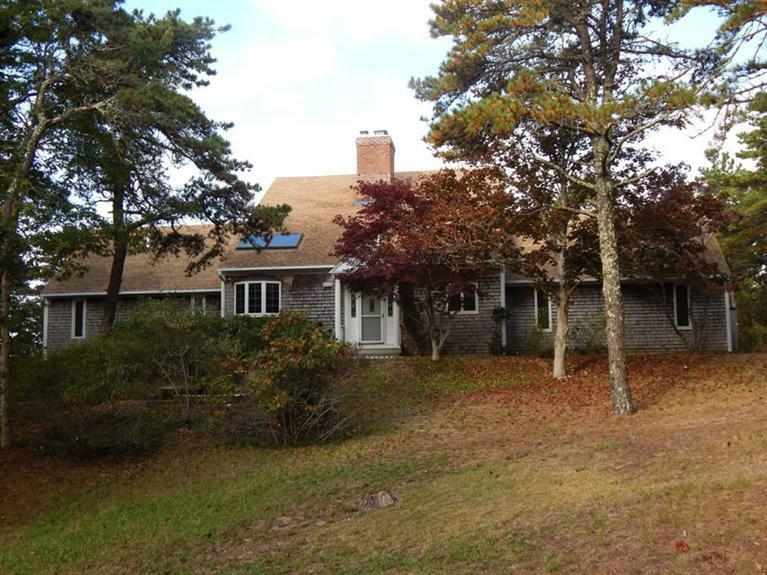 We listed this wonderful four bedroom Cape that is just steps to Ryder Beach. 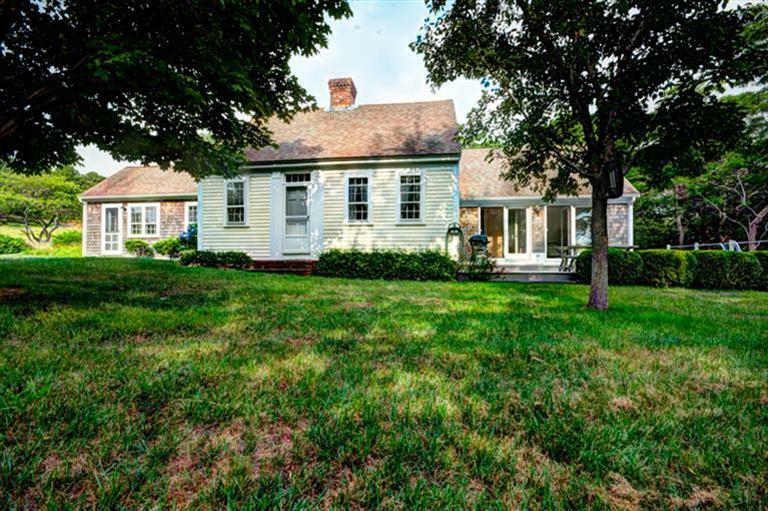 We put the house under contract almost right away after the very first showing, (the buyers had been looking for years and fell in love the moment they saw it). Asking was $799,000. We listed this wonderful house on very desireable Tom's Hill Road. It features a large open plan layout with high ceilings, wood floors and terrific views of the Pamet River, harbor and Bay. Asking price is $1,125,000. 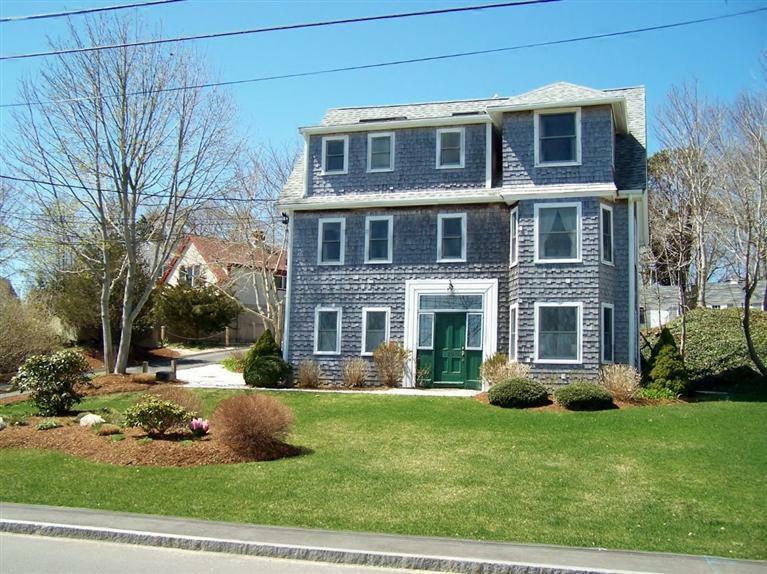 We put this wonderful antique Cape home under contract. By the way, the home came through the inspection process with flying colors! Asking was $795,000. 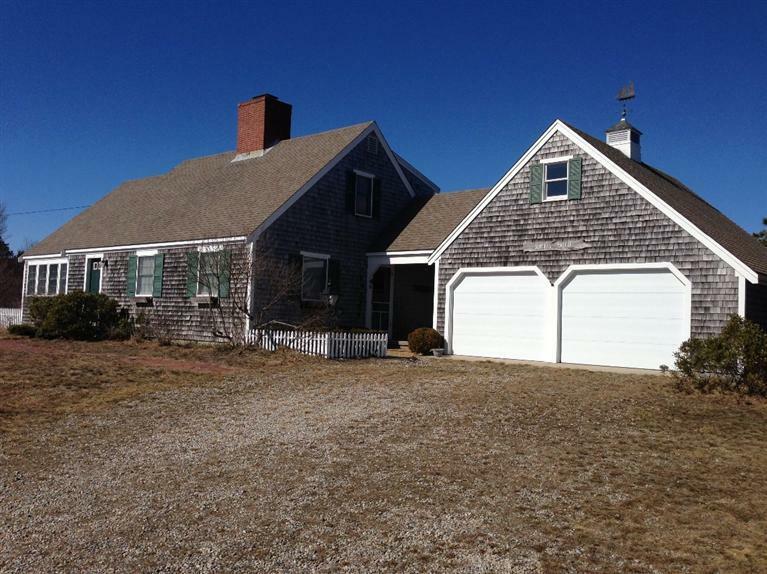 We put this house on Lt. Island in Wellfleet under contract. It will be hard to say goodbye to this house - we all had a real estate "crush" on it. Asking was $1,995,000. 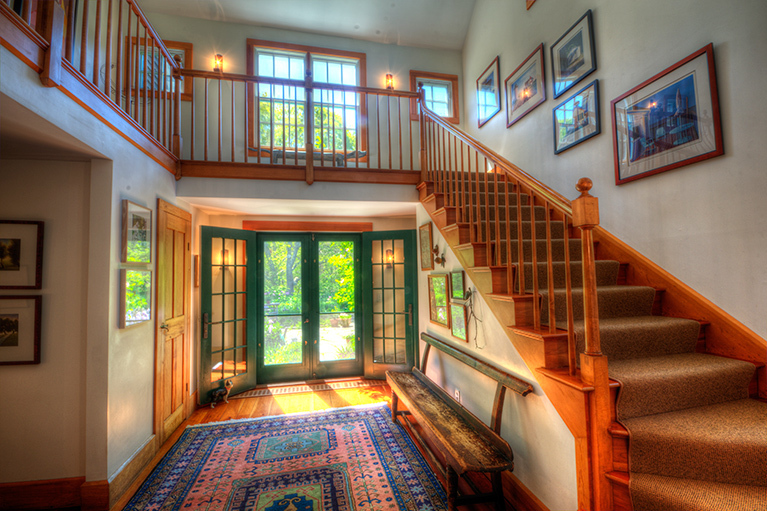 We listed this wonderfully private home overlooking the Herring River right on the Truro/Wellfleet line. The house has complete privacy. The asking is $1,050,000. 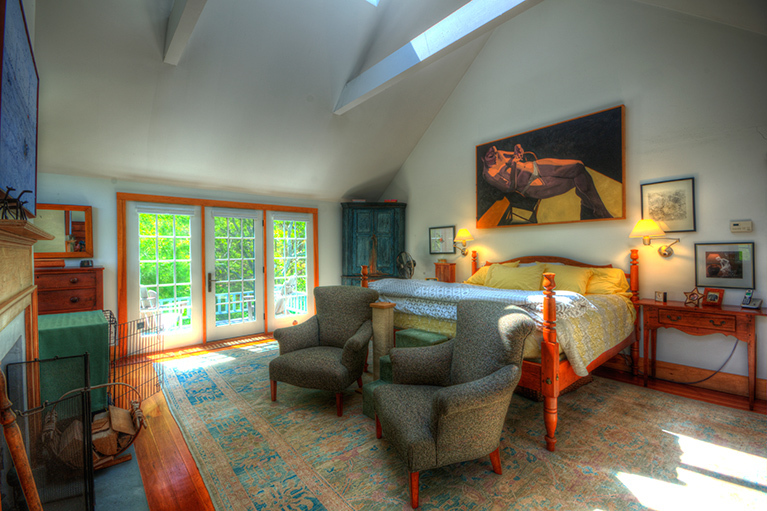 We listed this amazing home in Provincetown's far east end. The views are truly amazing and the house has been built with an eye for casual elegance. Asking is $1,999,000. 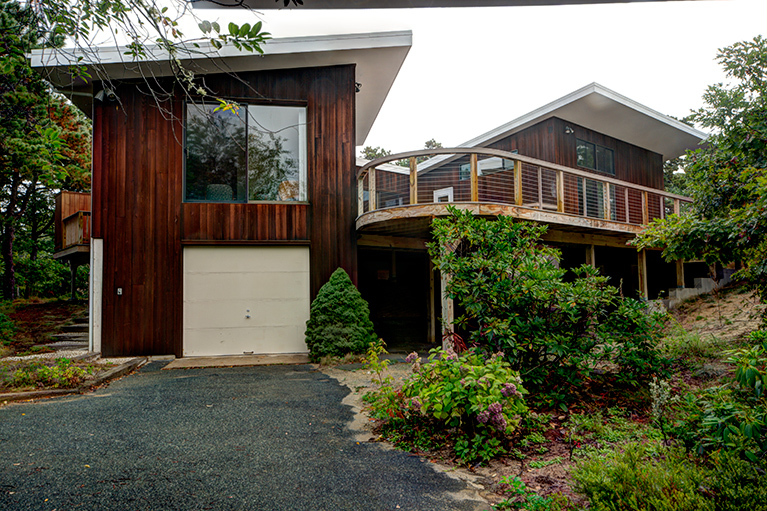 We listed this waterfront contemporary home in Truro. It has great views and rare privacy. The asking price is only $1,699,000. 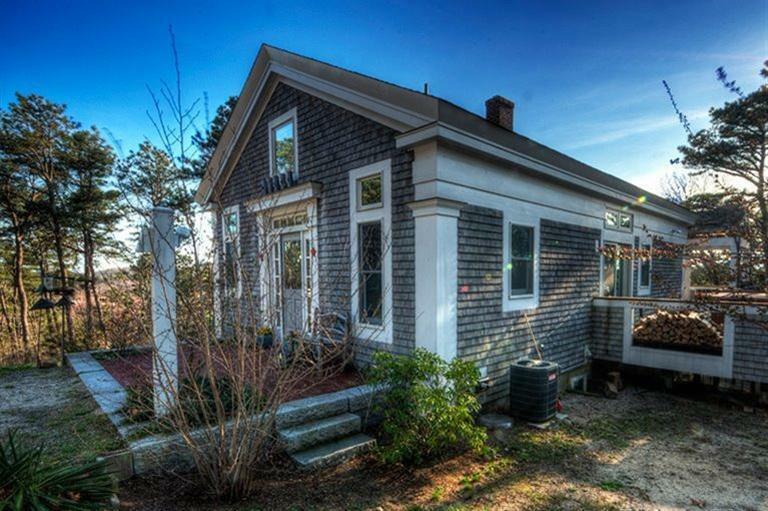 We listed this wonderful condo in down town Wellfleet. It's a one bedroom on the top floor with terrific marsh views. The asking is $299,000. 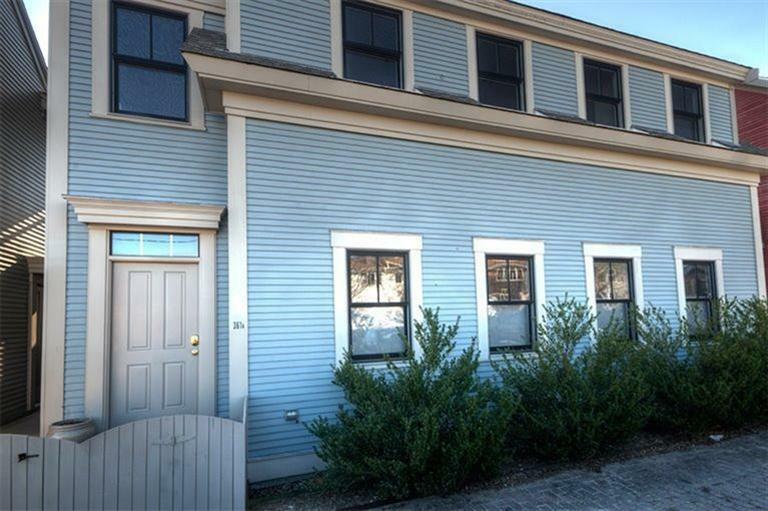 We listed three condos at 361 Commercial Street in Provincetown. Two of the units are already under contract! We just listed this wonderful three bedroom Cape in Truro. You better hurry on this one as the asking price is only $585,000! We told you we were busy! We live in a very special place within the Cape Cod National Seashore, a place people like to keep to themselves. We had already lived in Truro (two-thirds of which lies protected within the Seashore) for five years and had never even heard of these special woods which straddle Truro and Wellfleet. One gorgeous September Sunday, we were returning from an emergency visit to the vet and saw signs for an "open house." We decided to have a look, especially as the signs reminded us that our dear friend (and now 3Harbors colleague) Nick Norman, was hosting the "open house." Driving into the woods, we were instantly captivated by the quiet beauty all around. Though it was the weekend just after Labor Day, it felt as if we had the whole of the Outer Cape to ourselves. We saw the house, made an offer and, long story short, are now relishing over eight years of "living in the Seashore." Despite the quiet (a half dozen cars a day down our road during the summer is practically grid lock! ), we discovered what a lively and interesting history had our woods. During an impromptu visit our first summer, a former resident regaled us with stories about boozy clothing-optional parties back in the 60s and 70s. We also heard from new neighbors about the illustrious writers and thinkers who'd been denizens of the woods over the decades. 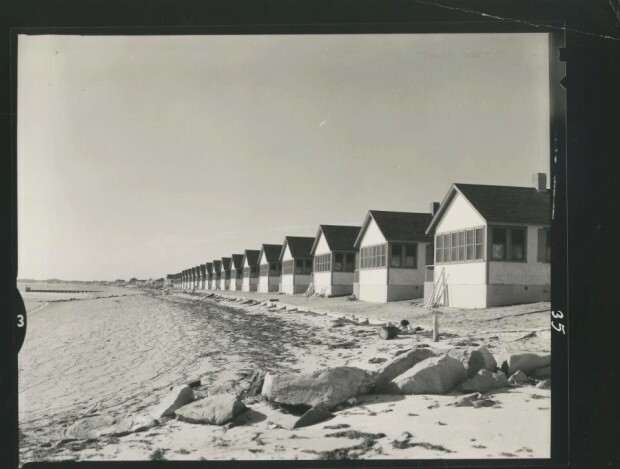 The modern chapter of life in what we now know as the National Seashore began in the late 1920s, when Jack Phillips inherited 800 acres on the Wellfleet-Truro line from his uncle. 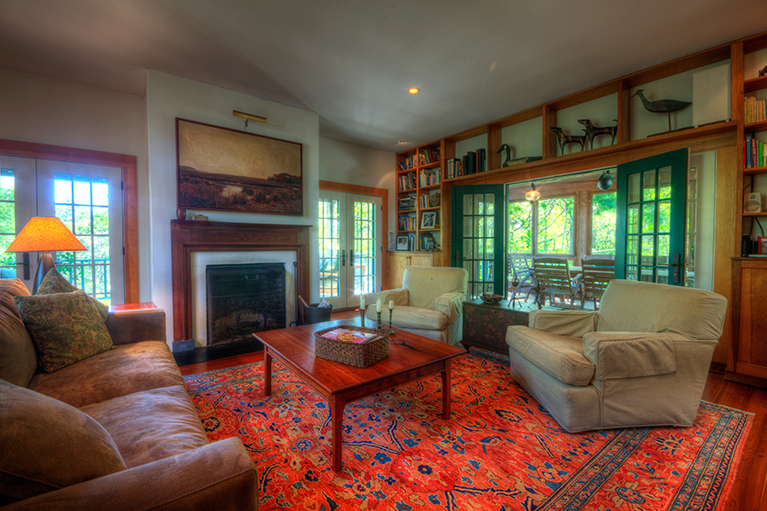 Phillips, a direct descendent of Boston's first mayor and the family which founded Phillips Exeter and Andover, moved year-round to a cabin on Horseleech pond in the early 30s. He had spent time in Paris studying painting under Leger and became friendly with artists and proponents of European Modern Architecture. With the onset of World War II, many of these intellectuals fled the Nazis and landed in Cambridge. Some also found their way to Cape Cod and purchased land from Jack Phillips. 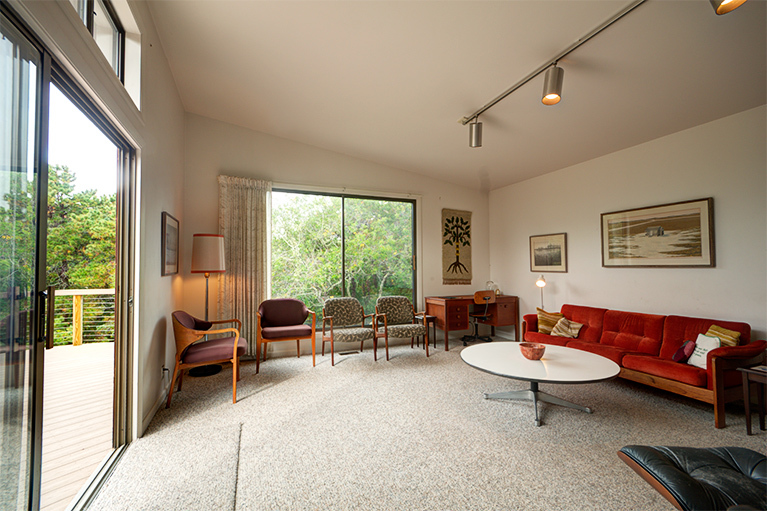 Emigré architects Serge Chermayeff and Marcel Breuer built Modernist dwellings. 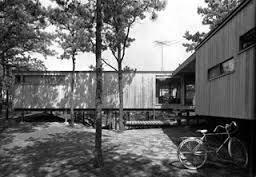 Activist publisher and economist Dwight MacDonald, historian Arthur Schlesinger, the critic Charles Jencks and artist Paul Resika also had simple cottages in the woods. They were all part of a summer colony which was a veritable who's who of post-war "creatives". In the summer, the ghosts of these amazing people mix and mingle with a sprinkling of latter-day journalists, painters, and academics. Brainy conversation still thrives at lively but very low-key parties, where chatter is just as likely to center on history, art and geopolitics, as it is on food, fashion or fishing. We treasure the sounds of splashing water and laughter from the kettle ponds which punctuate the sunny languid days. In the winter, the shorn trees exhibit every shade of gray, and the days alternate between quiet snow and endless howling wind. Even so, the underlying effect of the long winters is not of loneliness but of a profound, almost enchanting solitude. You always know the loveliness of summer and summer visitors will return. But in the winter, the whole of this special world is yours alone. 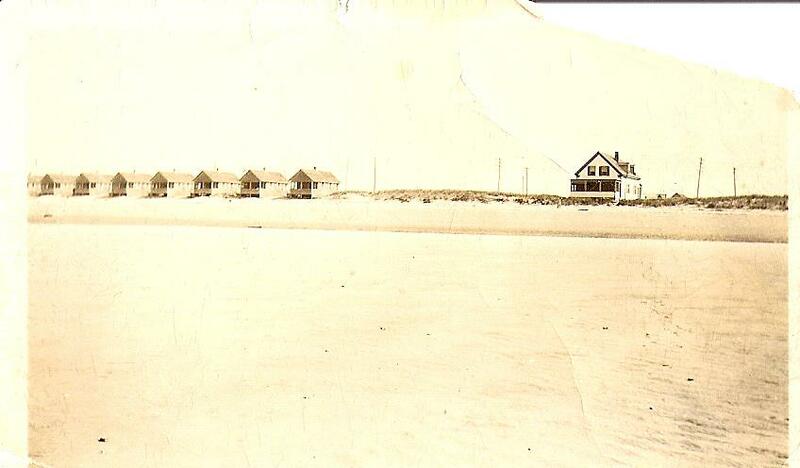 In any season, though, we are grateful beneficiaries of those responsible for creating the National Seashore in 1961. We do our best to protect these woods as they nurture us--just as they nurtured those who came before.